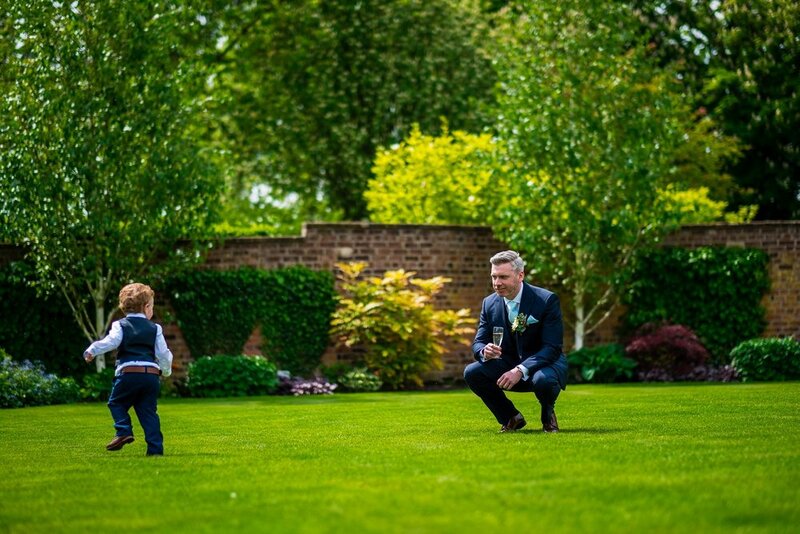 Sofie and John chose Cholshaw Hall as their wedding settings, a stunning manor house in Knutsford, Cheshire that was originally the family home to the Irlam Family. 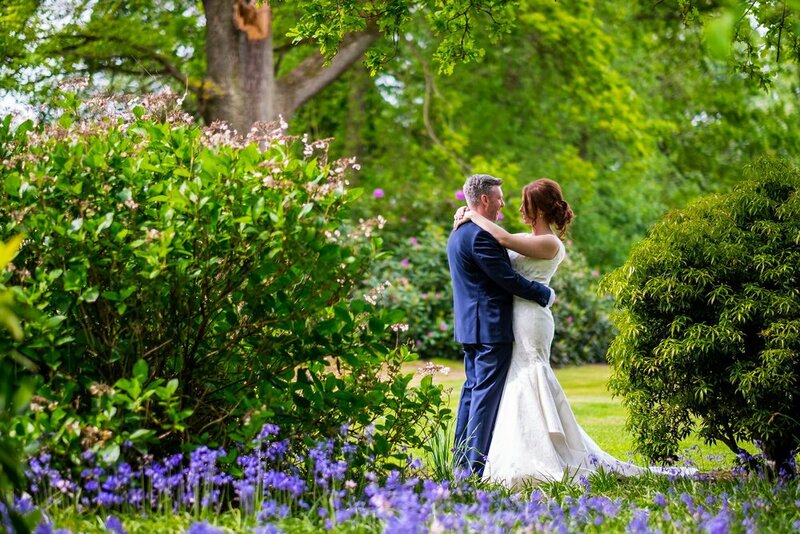 With plenty of photo opportunities, it really is a great place to celebrate your wedding day! Sofie got ready at the venue and it was the perfect place to kick start her wedding day. 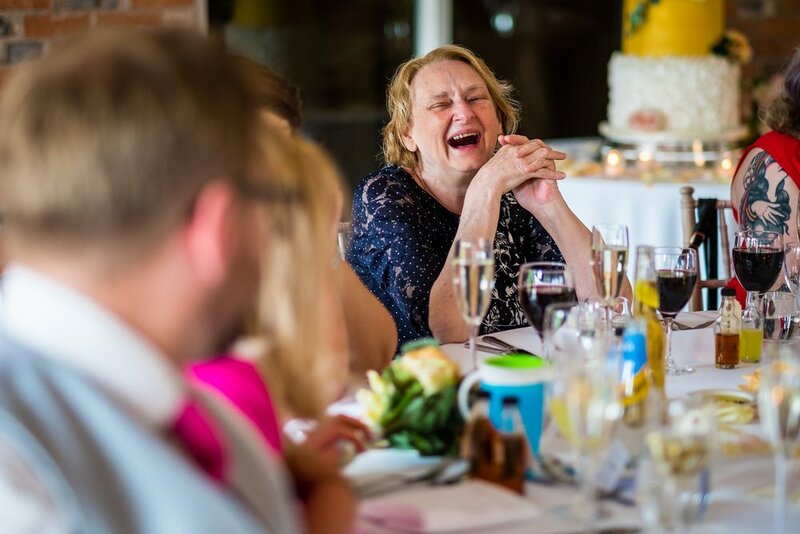 Surrounded by her bridesmaids, her Mum and her Son, she smiled throughout the morning as she had a drink with her girls, exchanged wedding gifts and got ready. While she was getting ready at the venue, John got ready at a nearby hotel with his groomsmen before heading over to the venue. The wedding service was perfect for Sofie and John. All the guests were smiling, with a few tears, and they both looked at ease with each other throughout as they exchanged their vows. Having a 2nd shooter with me on the day allowed us to capture the guests looking on proudly as they made their marriage legal. After the service everyone headed out into the grounds to chat, enjoy the music and play some garden games. This is the perfect time to capture some natural photographs of guests enjoying themselves and to get some action shots while the games are being played. 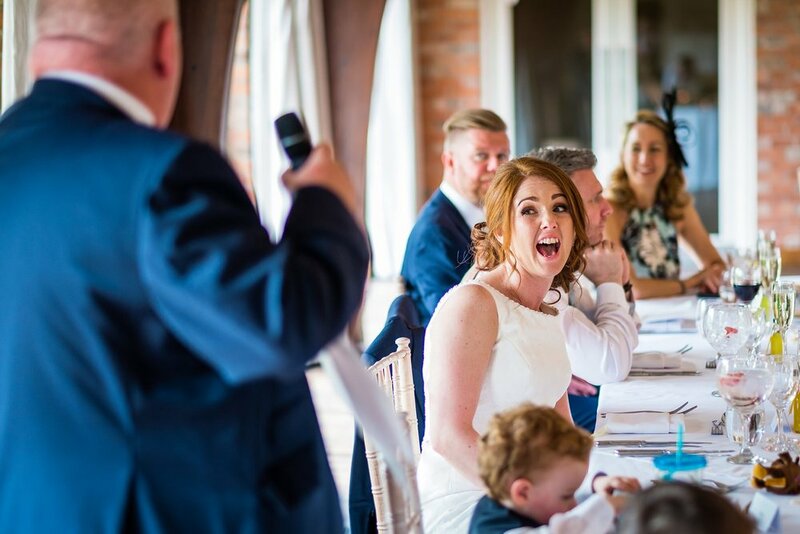 It was soon time to call everyone into the wedding breakfast room, but before the meal would begin, it was time for the speeches. These had everyone laughing, crying and toasting allowing for some great photos! Once everyone had ate, it was back into the stunning gardens to catch the final sunlight before the evening party was to start. They had a band in the evening who played hit after hit that really got the dance floor going! Working at Colshaw Hall for the first time was a real pleasure. The grounds and venue are simply stunning. 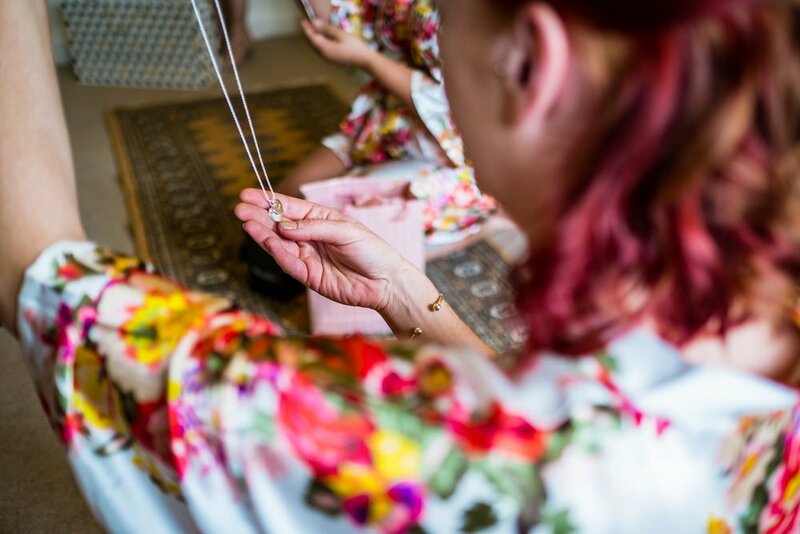 From the wedding lodge, stunning manor house and Japanese gardens, there is just so much to take in making it perfect for wedding photography. 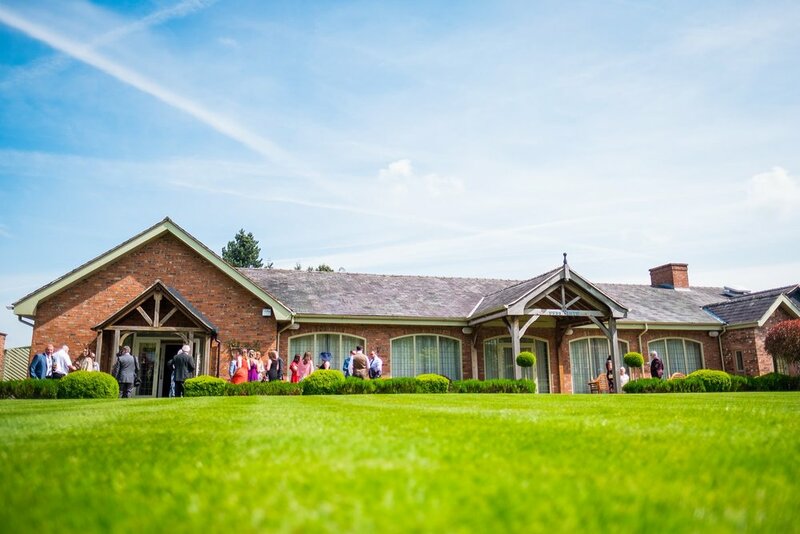 Not too far from Lancashire, where I’m based, it’s a venue that’s well worth checking out if you’re looking for your own little paradise for your wedding day. The venue offers so many photo opportunities and I can’t wait to return!